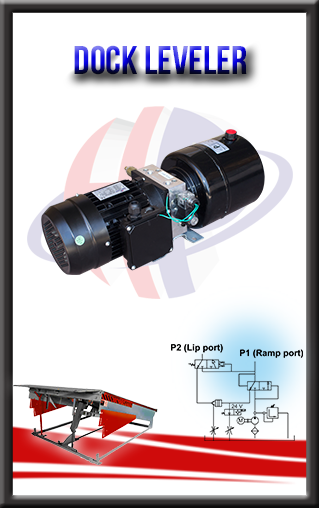 This power unit is designed for dock leveler. The pump raises the ramp and extends the lip. It is used for systems with 2 single acting cylinders. It also offers an emergency stop function while falling.